Way back in 2003 we created a simple arcade game called Sheepteroids and hosted it over at Kwikgames.com Though extremely simple, the game was hugely popular and within a few months had been featured on several thousand sites (searching “sheepteroids” on Google now returns over 1.5 million results!!). Now, 8 years down the line, it seemed only fitting that our first release as Frosty Pixel Games brought this classic game bang up to date! The new version, Sheeperoids 2050, keeps the fast paced retro gameplay and score multiplier but brings the game up to date with all new graphics and effects, a brand new sound track, and a whole load of new features. Now you can blast those pesky sheep in full 3D technicolor, or you can choose to play in “classic mode” if you’re feeling nostalgic! Sheeperoids 2050 is the first original title from Frosty Pixel Games, due for release in September 2011. 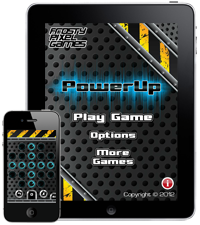 Watch this space for launch details, or search for the game in the Apple app store. 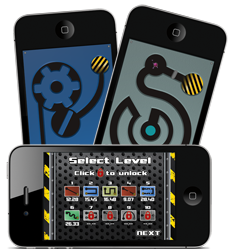 Note – we finished development of Sheeperoids 2050 in late 2011, building the game in AS3 for AIR. However, we weren’t happy with the performance using AIR and decided not to release the game due to a drop in framerate on later levels when there are more sprites on screen. We have now decided to port the game to Unity 3D to ensure that the final release is high quality. So, watch out for Sheeperoids in true 3D coming to your iOS device soon!